Hostel facility is provided with a view that the inmates of the hostel should perform than the day scholars.Four years of stay in hostel along with Batch mates, seniors and juniors will turn a student into a well-disciplined and confident individual with good sense of brotherhood and team spirit. Living together in a community like this would help each student to adjust with others (who hail from different background) and to lead a comfortable life during the stay in the college. 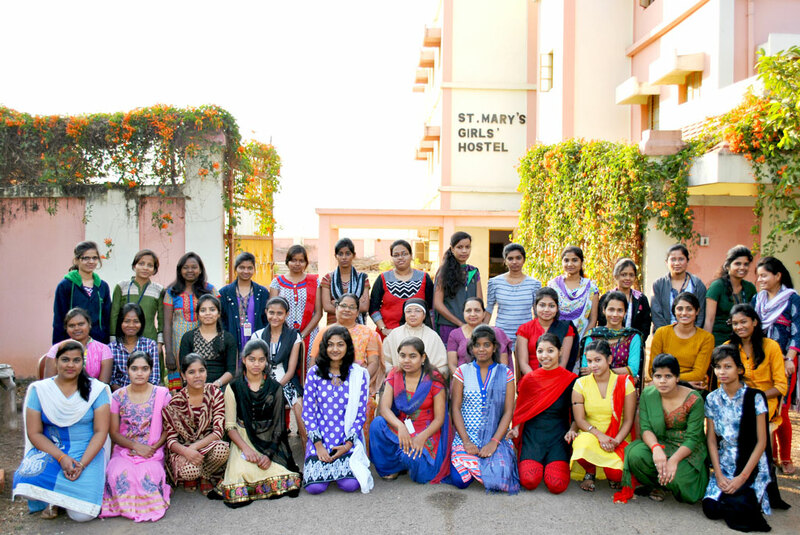 In St.Thomas Boys Hostel and St.Mary’s Girls Hostel, top priorityis given to the academics,discipline and safety of the students.The objectives is to transform the hostel inmates in to complete professionalwith a human face. The admission in the hostel for first year students is given to select number of students based on first come first basis.For subsequent year’s stay in the hostel to a student has to undergo a formal interview where in he/she, if found suitable be allowed to continue.Hostel and Mess for the whole year has to be deposited during the time of admission and is not refundable in case the student leaves the hostel in the middle of the session. Only students who agree to follow the rules and regulations of the hostel will be allowed to continue their stay in hostel. Admission can be denied to any student in any year, who violate the rules, undr intimation to thier Parent. Admission to the hostel is given one yearly basis calculated from June to May of an academic year. Hostel Fees for the whole year is to be deposited at the of admission, which is not refundable, in case the students leaves the hostel in between the session.Students must join the hostel mess, which is run by the college management.Mess fee also should be given along with the hostel fees in the office on yearly basis. No concession in mess fee will be allowed for students remaining absent on any grounds including students getting detained between academic session. Students need to give the address, phone numbers as well as the photos of their local guardian at the time of the admission.They can be changed only on the request of the parents.Local guardian should come and pick up the girl students from the hostel if they have to go out for any specific work / function.Parents to note that students studying in this college cannot be nominated as local guardian of their word. It is advisable to nominate person as the local guardian for both boys and girls.